Thank you for taking a chance on Divest! I also would like to thank you and everyone who has read my chapters, or are about too! Divest is near and dear to my heart. 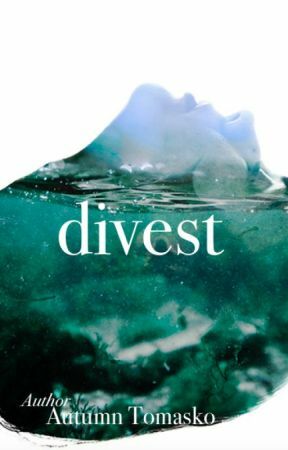 I have been working on Divest, my first novel for TWO years! That seems like an eternity, but I have really only worked on it maybe eight months in total. There has been months where I didn&apos;t even touch it because of life, organizations I&apos;m involved in on my college campus, classes, or work. I love any and all feedback, and comments! Please do not hesitate to call me out on anything that is unclear, if you do not understand what I am trying to say, or any mistakes you catch. I love reading your thoughts! Below I have some points on what to expect, and what not to expect when reading my book! Over excessive  Humor: I like humor, but sometimes it is too forced. Depending on the characters, there will be more humor in their dialogue if that is in their character. Divest is a more serious, action filled novel. This doesn&apos;t mean there won&apos;t be humor! Flashbacks: Throughout my chapters you will see many flashbacks. PAY ATTENTION TO THESE! THEY ARE IMPORTANT! The characters start out already knowing one another so these flashbacks may show the blossom of the character&apos;s relationships, and important information that had happened. Chapter Length: You have been WARNED some of my chapters are long! Some chapters are up to 4,000 words, while others are between 1,000-3,000 words. I write a LOT, so be prepared to read longer chapters than normal on Wattpad. PLEASE, PLEASE, PLEASE, take this into consideration when starting Divest. I have and am writing Divest as an actual novel length, and I am hoping to publish it very soon. The chapters like I said, are longer than normal on here, and I appreciate all my reads, because I do know how tiring reading a long chapter can be. Action: Though my book is categorized as Science Fiction, it includes, action, and adventure. Be prepared to see all of this! Romance: Expect romance! But it may not be what you expect. The story is more about the shift in the relationships between the characters. Writing Style: Divest is written in third-person. Please be patient with me, I am used to writing in first person! I am having so much fun writing in third-person, and I hope you enjoy that style of writing. Errors/Spelling Mistakes: I am ONLY human, please forgive me! I will make mistakes, and I will admit it! Please feel free to comment on any mistakes, or grammar errors. This is an original story I have written, and I reserve all rights to it. Do not reproduce, copy, or take parts of the story and distribute it as your own. If you see anyone whom have copied my story please report the situation to me. 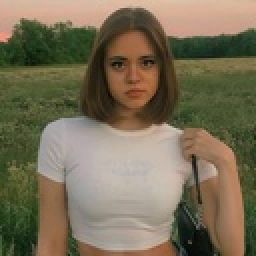 Wattpad is the only platform where this story is posted on. Again, THANK YOU so much for taking your time to read Divest. I do this all for you guys! Do not hesitate to reach out to me if you want to discuss my story, or ask questions about it. I update every Thursday and Sunday. Some weeks I may only upload on Thursday due to my busy schedule. I will let you all know in the "Conversations" area on my profile if for one week I&apos;ll only be posting once that week. Some weeks I may upload three, so watch out for a surprised extra story for some weeks!